We're excited to announce that we've just released our brand new Documentary Budgeting Template Pack. It's a great complement to our newly released Documentary Proposal Template. As part of our promotional launch, we're offering our Budgeting Pack for nearly half off retail for a limited time. Check it out! Documentary Budgeting Template Pack - New! The reviews are already coming in! Are you stuck somewhere in the process of making your documentary? Have you lost confidence in your ability to finish the project? Or maybe you're just wondering how to get started. There are all kinds of devilish issues that can sabotage your filmmaking efforts. Here's a list of some of the most common pitfalls new documentary filmmakers face. Ask yourself exactly what it is that's stopping you from moving forward. Break the problem down into manageable bits. For example, if you need $25,000 and are stuck finding someone who can donate that amount, ask yourself how you can get ten people to give $25.00. It's not $25,000, but it's a start and gets you moving in the right direction! If the issue is more psychological (for example if you are no longer feeling the passion for your story or you're lacking focus), think back to your original excitement and remember what made you so interested in the topic in the first place. Even if you can't re-ignite that passion, ask yourself what small step you can take right now to move the project forward. Movement has a funny way of getting you back on track. List "Five Quick Wins" and "Five Bold Moves". This tip is from Morrie Warshawski in his wonderful fundraising book Shaking The Money Tree. For example, raising $250 would be a quick win. Having these mini-successes can play a big role in boosting morale. Of course, there's always the chance that your original documentary idea is not panning out to be what you envisioned. And it's perfectly okay to cut your losses and try the next idea. Just make sure you're quitting for the right reasons. Sometimes the beauty of a documentary is that it turns out completely different than what you thought and can still be a great story. So keep your head up, face your problems head-on and keep moving forward. If you do that, you have a great chance of surviving the documentary filmmaking process. Got a specific question you need help with? Visit our Ask A Question public filmmaking forum page and post your question there. If you prefer private consulting, I am offering one-on-one coaching for a limited time. Just respond to this e-mail and tell me what you need help with. The great thing about my coaching sessions is that you only pay if I am helpful to you. I have been doing this for 20+ years now and there's nothing I would like more than to see you to succeed. What's New at Desktop Documentaries? iPhone Movies and Documentaries: Tips for Aspiring Filmmakers -- Desktop Documentaries is all about the idea that anyone with a camera and a computer can make a documentary. Watch what some young filmmakers in California put together with the iPhone..
10 Really Cool Video Apps for Filmmaking - If you're looking for cheap filmmaking ideas to make your documentary, check out these really fab video apps. Documentary Idea: London Pub Culture - Check out one of the latest documentary ideas that came in from Nandini in London and pitch your own ideas! Video 101: Q&A with Television and Video Producer Lisa Lubin - Get some great video production tips from three-time Emmy-winning Television Producer Lisa Lubin. If you're at the beginning stages of your documentary and looking for funding, you're going to need a proposal and a budget.. We recently released our Documentary Proposal Template (below) and now we've just completed the Documentary Budgeting Template Pack. 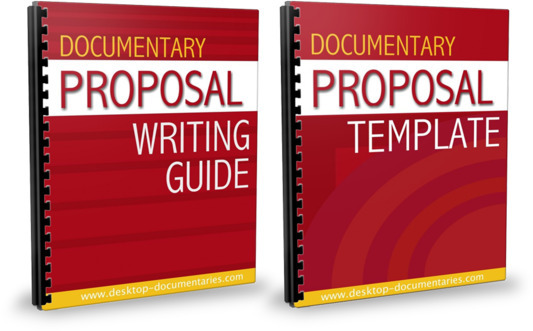 For a limited time, both the proposal and budgeting packs are available at nearly 50% off! If you're staring at a blank page and wondering how to get started on your documentary proposal, this template is a life saver. Everything is already formatted and ready for you to input your own text and information. In addition to the template, you get a complimentary proposal writing guide. 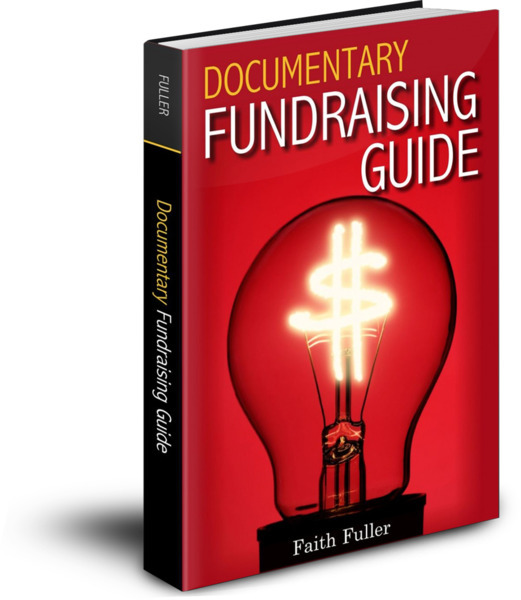 This is a 200+ page detailed fundraising guide designed specifically for documentary filmmakers and helping you get the funding you need for your project. Set for release in 2012. Catch the latest documentary news on our Desktop Documentaries Facebook Page. Make sure to stop by and "Like" us! Until next time, keep dreaming!